From the time you find out you are pregnant to the moment you hold your baby for the first time, and on into the first few hours, days and weeks of parenthood our aim is to build your confidence to throughout the experience in you supporting your baby by offering a sensitive and flexible service to meet your own individual needs. Working to all the recommendations in The National Better Births document, we are able to offer further reassurance in our continuous improvement culture. We will support you to make informed choices around where to birth your baby and hold the professional skills to support birth either in the home or in our Maternity Unit. All facilities provide a spacious, clean bright environment for women their babies and families. We work as a close multi professional team to ensure that you receive the care that you need: In the right place, at the right time with the right professionals supporting your journey. Whether you have a straightforward pregnancy or more complex needs we will work with you to provide safe, individualised and effective care. Our Maternity Unit supports an average of 8 women each day to birth their babies, whether your choice is to deliver at home or here at Warrington in our modern, fully equipped Maternity Unit. We will welcome you to have your baby with us at any stage of your pregnancy, even if you have already arranged to have your baby elsewhere. “Having a baby is a life-changing event that is different for everyone. It can be both exciting and bewildering, with lots of questions, and many choices to make. When the time comes for you to have your baby, you want to be in a place where you feel comfortable, relaxed, confident and secure, and for everything to go as smoothly as possible. At Warrington Hospital, we will be with you every step of the way, offering you help and advice throughout your pregnancy, care and reassurance when it’s time to give birth, and all the guidance you need as you embark on your journey through pregnancy to parenthood. Once your pregnancy has been confirmed, you can contact us directly to arrange a booking appointment with a midwife, whether you live within the Warrington area or outside of the catchment area you can self-refer to us, you do not need to be referred via your GP. Please complete the form below. If you do not hear from us within 5 days please contact the Community Midwives Team on 01925 662092 between Monday - Friday, 9:00am and 5:00pm (answerphone available out of office hours). If No how many previous pregnancies have you had? We will contact you by telephone within two working days to arrange your first point of contact with a midwife, to book your dating scan and follow up appointments. If we cannot make contact with you via telephone, we will email you to confirm your availability. These are your first ante natal appointments with your midwife. Is there any additional information you feel the midwife should know about? E.g. medication, previous complications in pregnancy/childbirth or any other relevant medical history i.e. Diabetes, asthma, mental health issues etc? Women and their babies benefit from our highly-skilled team of consultants, obstetricians and midwives who are all here to support and guide you in your choice and maternity experience. Led by Senior Clinical Director, Dr Satish Hulkiere, and Head of Midwifery, Dr Tracey Cooper MBE, The Maternity Unit is well supported by our team. Having a consultant midwife as part of our highly professional team of midwives, nurses, obstetricians, gynaecologists, paediatricians, neonatal nurses, other professionals and support staff, we provide you with experts in all aspects of maternity and gynaecology care who all work together to offer an excellent, safe, and quality service. Our highly experienced consultant team includes We have 3 fetal medicine consultants, Hilary Furniss, Rita Arya and Mustafa Sadiq. The other obstetric consultants are: Paul Adinkra, Vicky Sephton, Eshita Hasan, Ambreen Rauf and Kate Alldred who specialises in perinatal mental health service. At your booking appointment, your midwife will ask a series of questions about you, previous pregnancies (if applicable) and your family history; to identify if there are any reasons why we may need to monitor you more closely during your pregnancy (for example if you have complex care factors i.e diabetes, a medical condition or if you previously had a baby that was small or premature). You will be offered an ultrasound scan at around 12 weeks to help determine the date that you can expect to give birth. In addition, we will offer a range of wellbeing and other tests to help us determine the right care for you. Women may be booked under either a midwifery led care pathway or if you have any existing risk factors or develop any complications; your midwife will discuss these with you, and you may be referred to our Obstetric team for their opinion. In some cases, women will have shared care between the midwife and consultant team but may still be appropriate for low risk options in labour. However, regardless of whether you are initially booked for Midwife Led care or obstetric care, your midwife will continuously review you and your baby during your pregnancy, labour and birth to ensure that you are both well; and refer you for additional support from the medical team if the need arises. This well-established service has been looking after women with early pregnancy complications since 1997. This nurse led service is open to direct referral from primary care, emergency department, community midwives and sexual health care providers. Women with a previous pregnancy loss can also self-refer for an early reassurance scan from 6 weeks gestation onwards. This service is available Monday to Friday 0830 – 5pm. The EPAU has immediate access to Gynecology Assessment unit for urgent clinical review in situations that need acute clinical care. Clinical practice within the EPAU follows NICE guidance for the management of miscarriage and ectopic pregnancy and aims to deliver care holistically. This service was launched June 2018 and offers a 7-day service for the management of urgent gynecology problems. Women can be referred directly from their GP, Midwife or the Emergency Department. This enables women to be seen in a specialist area with the relevant expertise, in a timely manner. The GAU has access to urgent imaging and direct admission to ward C20 if necessary. The GAU aims to see and treat most cases without the need for admission, managing many clinical problems on an outpatient basis, with relevant follow up and monitoring through either GAU, EPAU, or Outpatient gynecology. This is a consultant led clinic available to women who have suffered two or more consecutive losses. Women and their partners are referred for investigation, treatment and monitoring of subsequent pregnancies. Initial consultation is at the Halton site and subsequent Early Pregnancy Support clinics for rainbow babies are at both sites. In a new pregnancy, women are seen weekly for reassurance scans and medication to support their pregnancy if necessary. The clinic is supported by the services of the bereavement support nursing sister Debbie Yates, women and their partners can access one to one home visits or telephone consultations depending upon their emotional needs. If you are over 18 weeks gestation and are experiencing the symptoms above, contact Birth Suite directly in the first instance on (01925) 662334. We offer an extensive range of antenatal and new-born screening services to try to find any health problems that could affect you or your baby. They are there to support you in making choices about care or treatment during your pregnancy or after your baby is born. Some tests are offered for your baby soon after they are born, so your baby can be given appropriate treatment as quickly as possible if needed. Before you attend your booking appointment with your midwife please take the time to read the screening information booklet that is sent to you with your booking appointment information. This will give you the information to help you make the decision regarding any screening tests in pregnancy. Your midwife can also discuss these with you. You can download an Antenatal and Newborn Screening Timeline to understand the optimum stages for testing. Working in five teams of between four and six midwives across the Warrington area, our Community Midwives provide care in a variety of community setting. You will be given a named Midwife within your team who will plan and provide your antenatal care with you, in line with NICE guidance and your personal needs. We are working towards developing an integrated model of care to increased continuity of carer throughout pregnancy, birth and postnatal periods. Following the birth of your baby the community team will continue to give you care and postnatal support in a number of community settings, including the home as well as the hospital and Children Centres, visiting in line with your family’s needs for up to four weeks post-delivery. We will also provide when required an individualised feeding support plan and offer various visiting plans to support feeding. As part of this we are able to support you to initiate and continue to breastfeed for as long as possible. The Community Teams also provide a parent education programme, hypnobirthing classes and an acupuncture clinic. Your Midwife can give you further information on how to access these services. Our Antenatal clinic supports women who require obstetric support during pregnancy. Led by a dedicated obstetric team, they will provide specialist advice, monitoring and management plans to support you needs throughout your pregnancy. You may also be referred to specialist midwives for advice and information. We have a joint Medical Obstetric clinic for women requiring more extensive support such as those women who experience Diabetes, Heart Conditions, Epilepsy, etc. Here, the care will be supported by a Consultant Diabetes Nurse, Consultant Endocrinologist, Midwives and the Obstetrician. We also provide specialist services for Mental Health, Infant Feeding, Antenatal Screening, Young Parents and Substance Misuse. The ANC is facilitated Monday – Friday 9.00am to 5.00pm on 01925 662260. If you require advice out of hours we have midwives available to assist you on our Delivery Suite on 01925 662334. If you experience any concerns with your pregnancy you can self-refer to the Triage team for advice, review and assessment. Triage is open from 8:30-20:00. If you are asked to come to Traige, the midwives will assess your concerns and direct you to the most appropriate professional for your care needs. Some of the common reasons to attend Triage would be If you experience changes in the pattern of movements of your baby, you notice any blood or watery loss, headaches or blurred vision or itching in pregnancy. During your appointment you may only need to be seen by the midwife who will review your care and transfer you to another department within maternity or discharge you home. If further assessment is required the midwife will ask one of the obstetric team to see you. You can contact the Triage assessment unit on 01925 275203. Our Antenatal Day Unit (ANDU) provides specialist services for women who need additional support. Your Your GP, Midwife, Obstetrician or other Health care providers may refer you to this department for ongoing management of your pregnancy. We run this service by appointment only. We offer monitoring for conditions such as gestational diabetes, cholestasis, blood pressure and mum and baby wellbeing surveillance. We also facilitate ultrasound scanning services with our Midwife Sonographer and a one-stop ‘Breech’ clinic for those women whose babies are in the breech position.Not only do we have a midwife who is highly skilled in ultrasound, but we also provide a specialist ultrasound service where your baby will be closely monitored by one of our three Fetal Medicine Consultants should any concerns have been identified on your routine ultrasound scan. We also provide postnatal care for women who have been discharged from the hospital but whose babies are cared for on the Neonatal Unit. ANDU is available 9.00am - 5.00pm 7 days a week Tel: 01925 275200. This patient information leaflet Feeling your baby move is a sign they are well provides advice for women about how their baby should feel and move during pregnancy. If you wish to have a look at our fantastic facilities we welcome you to one of our arranged tours of the unit. These are currently held once a month on the last Thursday of every month at 3:30pm. Contact the community midwife team on 01925 662092 to book your place. Alternatively we include a tour of the unit as part of the parent education programme. Obstetricians are Doctors who specialise in maternity care, and are the lead professional for women with pregnancies which are considered to require medical input. If you are booked under obstetric led care you will attend some of your antenatal appointments with your midwifery team. However, most of your care will be provided by the obstetric team. Women in pregnancy who may require some obstetric input may be suitable for shared care. This means that you will see a named consultant to discuss and agree a plan of care with you so that your antenatal care can be shared between your named midwife and allocated consultant team. Midwives are the lead professional for women with uncomplicated pregnancies. Midwives are experts in uncomplicated pregnancy. He/she will only refer you to a Doctor if complications arise. Your midwife will provide all your care and support you throughout your pregnancy, labour and postnatal period. All of your antenatal and postnatal care will be delivered in the community; for example in Children’s Centres, GP practices, or in your own home. You will only attend the hospital for routine scan appointments. If you are booked under Midwife Led care you may choose to give birth at home, or in our co-located Midwife Led Unit in the hospital. Your midwife is trained to identify early potential problems. If the midwife has any concerns about you or your baby, he/she will refer you to one of the Doctors in the hospital at any time during pregnancy and labour. One of the most important decisions during your pregnancy will be to choose where you would like your baby to be born. We are here to give you all the information you need to help you to make the right decisions for you. We want to make sure that you have all the information required to make an informed choice. If you have any additional questions, please speak to your midwife. When discussing where you would like to give birth it is important to take into account your personal preferences, as well as your medical and pregnancy history, and the facilities available in the different locations. Your midwife will discuss your options for place of birth at your booking appointment, throughout pregnancy and at a designated appointment at 36 weeks, and again when you go into labour, or the postnatal period. Our pathways for you and your family include home birth, birth in the midwifery led unit or on our birth suite in hospital. One of the most important decisions during your pregnancy will be to choose where you would like your baby to be born. We are here to give you all the information you need to help you to make the right decisions for you. We want to make sure that you have all the information required to make an informed choice. If you have any additional questions, please speak to your midwife. When discussing where you would like to give birth it is important to take into account your personal preferences, as well as your medical and pregnancy history, and the facilities available in the different locations. Your midwife will discuss your options for place of birth at your booking appointment, throughout pregnancy and at a designated appointment at 36 weeks, and again when you go into labour. Home birth is becoming increasingly popular. If you are experiencing a straightforward pregnancy, giving birth at home is generally very safe for you and your baby. A recent study called the ‘Birth place study’ which looked at the outcomes of giving birth at home or a Midwifery led unit showed that low risk women who give birth at home have fewer interventions, less need for pain relief, have more chance of having a vaginal birth, less likely to have a caesarean section, and are generally more satisfied with their birth experience (NICE 2017; Hollowell 2011). Information about the birth place study can be found on by clicking below. Home births are planned in advance, and equipment is brought to your home from 37 weeks to ensure all is ready for the birth. However, if you decide to have a home birth later during your pregnancy, we will endeavour to support you with your choice. During your labour you will be supported at home by a community midwife, and a second midwife will be attendance for the birth. What happens at a home birth once baby is born? Following the birth of your baby, the midwife will stay with you until your baby has had its first feed, and to check that you and baby are well. Your midwife will arrange for you to be visited by your community midwife, and arrange for your baby to have his/her newborn screening tests. Otherwise, all of you care will be given at home, or in the postnatal clinics. If you have any questions about home birth, your midwife will discuss this with you further. Our Midwife-Led Unit is situated alongside our Birth Suite. It provides a calm, relaxed home-from-home environment for women who have had a low risk pregnancy. Our aim is to offer a holistic, family led approach that holds high regard for responsive services. Women are encouraged to see labour and birth as a normal physiological process. We know from the evidence that women, who move around, choose water therapy and are relaxed in their environment progress to birth more effectively. We also know that women want midwives who are able to support this process. Birthing pools - we have two birthing pools for women who wish to use water therapy to support them in labour and during birth. A variety of birth aids such as birth balls, mats couches which support remaining active and upright in labour. •Early discharge- For women who have had a low risk birth we offer the option of early discharge. This is usually after 6 hours after birth following the first feed and would be dependent on the reassurance that all is well with both you and your baby. Where possible we would recommend that you remain in the birth environment until completion of the Newborn Physical Examination. •Complementary Therapies- We offer a number of complementary therapies to support labour and birth. This includes aromatherapy and acupuncture. Following your birth we would enable you to remain as a family unit on our midwifery led unit. This relaxed environment enables you to start your journey with your new baby into parenthood.The majority of women having a straighforward births within the midwifery led unit choose to go home within 24 hours of birth, when their care continues with our community midwifery teams. Should additional care be needed women will be looked after on our Maternity Ward. Our Obstetric birth suite provides a welcoming environment for women who require closer monitoring during their labour. There are 7 birthing rooms, some having ensuite facilities or Jack and Jill shared bathrooms. We also have dedicated triage and assessment rooms, an induction of labour bay, two maternity theatres and a recovery area. On the obstetric birth suite, you will receive care from a named midwife who will be allocated to provide one to one care in labour. In addition, there are Obstetricians, Neonatologists and Anaesthetists available if the need arises. Even though you or your baby may require closer monitoring during labour, the Midwives will support and encourage you where possible to be active during your labour and to maximise the chances of having a vaginal birth, support you to have a positive experience of birth if nature needs a helping hand. Ipod docking station and CD players are available, as well as birthing aids including birthing balls to help you create a comfortable and relaxing birth environment. We have a wireless telemetry units which enables us to continuously monitor your baby during labour, allowing you to be fully mobile. This machine may also be used in the birthing pool where clinically appropriate. However the birthing pool is not recommended for all women during labour. If you have any risk factors that would recommend that you give birth in an obstetric unit, then please speak to your midwife and obstetrician about whether water birth would be recommended in your case. You may be referred to the consultant midwfe birth choices clinic to help you explore your options and develop an individualised plan of care. Latent labour is the preparation of your body for active labour. It is sometimes confused with active labour as it can be quite an uncomfortable time and includes uterine contractions, lower abdominal period type pain and backache. The body needs to go through this preparation in order to ensure that the neck of womb (cervix) is ready for the process of labour. During pregnancy the cervix is long and closed. As the latent phase begins, the uterus (womb) contracts, thinning and softening the cervix. This is called effacement and usually occurs before the cervix starts to dilate (open up) The start of the active phase of labour occurs when the cervix becomes short, thin and is approximately 4 cm dilated and is accompanied with regular uterine contractions. It can take up to 2-3 days to prepare your cervix for the process of labour. This can be a very tiring time, but with the right information and support we can help you prepare and manage this phase at home. What are the signs of latent labour? The time it takes for your body to prepare for labour is very individual. However, the latent phase of labour is considered to be one of the most significant parts of the whole process of childbirth. Contractions may vary in length, strength and frequency. They often do not have a regular pattern, or if they are regular the contractions are mostly short lasting. It is normal for this to happen and for the latent phase to last over 24 hours. Often women can typically experience period type pains, lower abdominal discomfort, backache and contractions. These contractions can be regular for a few hours and then disappear or may continue into active phase of labour. As hormone levels increase and changes to the cervix occur, your contractions will develop into a regular pattern. These are characterised by an increase in length, strength and frequency, with a typical length of 60 -90 seconds. During this time you may experience a mucousy, blood stained discharge (‘show’). This is a positive sign that your body is preparing for labour. Generally a show should be 'jelly like’ and is often tinged with blood. It is not normally watery or be like a fresh red period. Being relaxed is the most effective way of enabling your body to progress through all phases of labour. During latent labour, the most appropriate place to be is at home. This will encourage you to feel relaxed and rest more comfortably. When we feel secure and safe in labour our bodies produce oxytocin. This hormone is responsible for good effective contractions. It makes sense that the best way to ensure our labour starts and continues normally is to surround ourselves with oxytocin rich experiences. So being at home in our own environment for as long as possible, surrounded by people who can support us and using techniques to help us stay relaxed, manage discomfort and stay positive all have a massive impact on the experience of labour. We encourage you to eat and drink as normal. Women find it helps to be mobile and upright in latent labour, balancing rest with activity. Birth balls or stand chairs are useful to promote comfortable positions. Some women find that rocking, swaying and deep breathing techniques are helpful. Warm water assists in relaxation. Frequent warm baths or showers may be taken during this time. Understanding that touch, warmth, and water can all divert pain messages from the spine may be helpful for you as alternating between these activities for 20-40 minute periods will help to lesson any discomfort. Using the same principles of diversion of pain messages, if you have chosen to use a TENS machine, it may be useful to apply it during this phase. Please remember that TENS should not be used in water. Taking regular, oral pain relief, such as Paracetamol (no more than 8 in 24 hours) may be of benefit. Remaining at home for as long as possible with the reassurance and support from the midwives at Warrington will enable you to prepare for and enter into labour in the best way possible. Please be assured that we are available to listen and support you at any time over the telephone and to advise you when come in to your chosen birth place. We offer both inpatient and outpatient induction pathways. If your pregnancy has been straightforward we will recommend that following administration of propess in hospital you return home for a maximum of 24 hours. On the day of your induction you will be admitted to the Induction Suite. When you arrive we will complete observations to ensure you and your baby are well. We will undertake an internal examination to determine the best method of induction. This may include the use of prostaglandin (propess pessary), breaking your waters, or oxytocin infusion. You may need a combination of the above to induce labour. Can I do anything to help this process? We would encourage you to balance rest with activity and continue to eat and drink as normal. Often women find it helpful to be mobile and upright. Some women choose to use a birth ball or stand chair to get comfortable. We would also encourage the use of water, either a bath or shower often helps with any discomfort and allows you to relax. Relaxation and a comforting environment can encourage natural endorphin production ( the body’s natural pain relievers), therefore it important that you use strategies and familiar things to help you remain calm. Your midwife will discuss your options for place of birth at your booking appointment, throughout pregnancy and at a designated appointment at 36 weeks, and again when you go into labour. At any time during your pregnancy you can discuss options for place of birth with your midwife. Sometimes women may choose care which does not fall within the usual pregnancy pathways. Women will be offered support with their decision making. This may be from the midwife, obstetrician, or our Consultant Midwife. Care plans will be developed between the woman and the team to ensure care is safe and meets the need of the woman. If you would like to have an appointment with the consultant midwife, please speak to your community midwife. Hi everyone, I’m Tracey, Head of Midwifery here at WHH. I am extremely proud of the maternity and gynaecology service we offer here. We want every woman to have the best experience possible with us. We provide safe, effective and quality services. We were named as Maternity Service of the Year by the Royal College of Midwives in 2017. We have an amazing team all working together to ensure you are supported with your choices and decisions. We aim to create a whole family experience, where we encourage your birth companion to be involved throughout your childbearing experience with us. We welcome your involvement and want you to help us to improve and tailor our service to what you want. We have a VOICES Forum which you can join…… and we welcome immediate feedback, so please speak to any of our staff or leave comments on our Facebook page….. and let us know what you think about our service. I qualified as a midwife 18 years ago and have worked in both hospital and community settings before moving into my Consultant Midwife role at Warrington in 2015. My role is to promote normality within the unit, and drive service initiatives which support women to achieve positive birth experiences. It’s a very exciting and challenging role. I am really passionate about maternity services and want to ensure that women who choose to have their babies at Warrington have the best care possible. I am proud to be a Consultant Midwife in an award winning maternity service that strives to provide a safe, high quality care for women and babies in Warrington and surrounding areas. I have a responsibility for clinical leadership of the midwifery services at the Trust. This can involve developing and improving the services which we offer and ensuring midwifery practice is up to date and evidence based, to help make sure that every woman and family can be supported to achieve their best birth possible. I have a role in education and training for maternity staff. I also contribute to the direction of maternity care in the UK at both a regional and national level. I work clinically both in the birth setting as well as running clinics in the hospital and community. I have a particular interest in promoting choice and personalised care plans, supporting women and families to achieve the best birth experience for them. I run clinics for women who have had previous caesarean sections, women who may have had a previous traumatic experience or a fear of childbirth (tocophobia), or women who may request care that may involve a little more complex care planning. I also provide support and information to women who choose to have a vaginal birth following caesarean section, working collaboratively with the obstetric and midwifery teams to ensure that care is safe, and individualised to meet the needs. My aim is to provide continuity and support for women and famiies, in addition to the care provided by the community midwives/obstetric team, in order to help them achieve the birth experience they want. If you, your community midwife or obstetrician feels that you would benefit from additional support in planning for your care during pregnancy and birth, he/she can refer you to see me in my clinic. Area of expertise: normal childbirth, pregnancy care with a particular focus on intrapartum care (labour and birth), individualised care planning for pregnancy and birth (particularly women with complex care needs and) and birth debriefing. You can self-refer to the clinic by calling Antenatal Clinic on 01925 662260. If you need to remain in hospital for a period of time during your pregnancy or after the birth of your baby, you will be welcomed to and cared for on our Maternity Ward (C23). Women and babies spend time on this ward for a variety of reasons but our team of Midwives, Carers and Ward Clerks work closely with the medical team and any other necessary team so we can provide you with a package of care which has been individualised for you and your family. If you have any complications during your pregnancy we have a dedicated team of Midwives who will care for you until you are well enough to return home or ready to welcome the birth of your baby. We have listened to your feedback and recognised some women may want or need additional support overnight from their partner. We have therefore extended our ‘visiting times’ to allow you to have one birth partner to stay with you for extended periods into the night if you wish. We have recently increased the care we provide in the postnatal period to included Transitional Care. If your baby requires additional care, for example treatment for jaundice, antibiotic therapy or if your baby arrives a little bit earlier than expected, our Transitional Care service allows us to care for you both together on the Maternity Ward rather than transferring your baby to the Neonatal unit. We will collaborate with the highly skilled neonatal team of consultants, nurses and carers to ensure where possible we provide the right treatment for your baby at your bedside. If you know that you are having a planned caesarean section birth you will be seen by our specialist midwifery team. They will be involved in preparing you for your birth of your baby. During the pre-op appointment we will discuss many aspects of your procedure including the enhanced recovery pathway, what will happen on the day, ways to encourage skin to skin and establishing feeding and postnatal wellbeing and health issues. They will not only meet you for the first time at the pre op session, one of the team will be there with you on the birth day of your baby. This small team will also provide care to you and your baby in the hours following birth as you adapt to your new family member. Our hospitals has an enhanced recovery in place, this is a modern evidence-based approach that helps people recover more quickly after having major surgery. Enhanced recovery programmes (ERP) try to get you back to full health as quickly as possible so that you are able to enjoy the early days as a family. The underlying principle is to use specific wellbeing enhancing techniques that prepare you for and minimise the stress responses on the body during surgery. This preparation means that your body will be in the best possible condition for surgery. We know from the evidence that this programme improves wellbeing outcomes, experience outcomes and reduced post operation complications. It also allows you to take control and be informed about your care. We have a dedicated neonatal unit that can care for your infant when they are born early or if they become unwell within the first few days of life. We have 3 intensive care cots, 3 high dependence cots and 12 special care cots. If your baby needs admitting to us for any reason our dedicated team of Neonatal nurses, nursery nurses, pharmacists, ward clerk and housekeeper will work closely with the Medical staff and Advanced Neonatal Nurse Practitioners will look after your needs as a family. If your baby more specialised care we have our network within the North West to refer them to for more intensive input. We are dedicated to supporting you to breast feed your baby, even if they are born prematurely. Our aim is to visit with you on the ward before you give birth and provide you with all the information and support to get you started and help you to sustain your milk until your baby is able to feed from the breast. As a result of these interventions we are seeing more babies having breast milk and establishing feeding over a longer period. We have listened to your feedback and are in the process of refurbishing our parents lounge so you can have somewhere to relax away from the unit if you wish or just grab some tea/coffee and toast. Also we have bought some reclining chairs so you can have a lovely cuddle with your baby in comfort. We have a dedicated Bereavement Suite on the Birth Suite, which has recently been refurbished to a high standard affording two rooms with ensuite facilities and a small kitchen area. Led by the Bereavement support co-ordinator Debbie Yates, the whole team are committed to providing compassionate care to bereaved families. There is a follow up bereavement service based on individual family’s needs and we also offer additional support for subsequent pregnancies. We have recently launched the Tiny Stars Support Group specifically for families who have experienced early pregnancy losses. In 2014 we received a Special Achievement Butterfly Award for service improvement and are finalists for Best Hospital Bereavement Care in the 2018 awards. Debbie Yates received the best healthcare professional Butterfly Award in 2016, all of which we are extremely proud. This clinic offers couples who are having difficulty conceiving, full investigation, diagnosis and management of their subfertility. 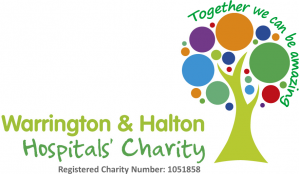 The clinic runs weekly at the Halton site, couples will be seen by a consultant or associate specialist. We offer a range of treatment options and ovulation induction is always supported with follicular tracking scans within the clinic, by the consultant team. If IVF referral is necessary women have the option to have their treatment within our satellite IVF service. Once a pregnancy is achieved we also offer early reassurance scans from 6 weeks gestation. In partnership with IVI – Cheshire (Countess of Chester NHS Foundation Trust) this IVF clinic was established at the Halton site in January 2018, and continues to grow and expand, due to clinical demand. This service is consultant led and supported by Advanced Fertility Nurse Practitioner and Satellite Co-Ordinator Cathy Brien. We provide NHS and self-funded treatment cycles, for IVF, ICSI, PGS, Sperm retrieval and Egg donation. Patient satisfaction surveys are extremely positive with a strong focus on how being treated in a familiar environment, by the same team, in a community setting close to their home was an important factor and helped relieve some of the anxiety experienced during treatment. Once a pregnancy is achieved we offer an early reassurance scan, and if necessary Early Pregnancy Support with the same team. The maternity voices partnership is a forum which facilities collaboration between maternity providers and service users to ensure that services meet the needs of local women, parents and families. The role of this open group is to ensure that providers work together with service users to develop, review and drive services with a women led focus. It is a chance for you to have your say about how services are provided, discuss experiences of your maternity care and provide a voice for other women who will use local maternity provision in the future. Led by our consultant midwife Louise Tucker, members include mums, dad’s expectant families’ members of the local community and representatives from the maternity services. Meetings will be held approximately every 2 months and you will be invited, in a relaxed way to discuss experiences, provide feedback and shape the way future services are organised. If you experience any of the following we would advise that you contact the hospital for advice. If you are experiencing severe itching. Partners and children from 10:30 – 22:00. If you have any queries please contact the maternity ward C23 on 01925 662258 or 662088.